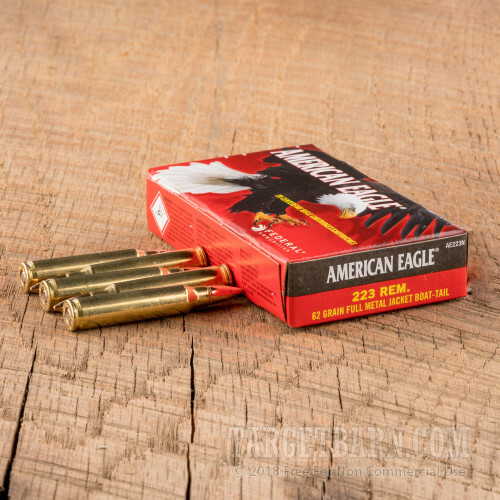 This .223 Remington ammunition from Federal's American Eagle series is a common range load for AR-15s and other .223/5.56 NATO rifles. 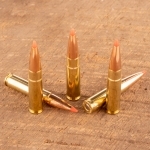 It offers dependable performance with ballistics comparable to those of military M855 ball ammunition. 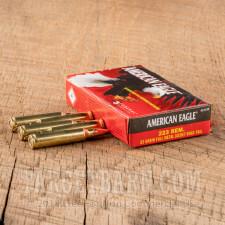 Each cartridge in this 500-round case fires a 62 grain full metal jacket with a stability-enhancing boat tail profile. 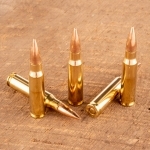 Expect muzzle velocities of approximately 3,000 feet per second, with some variation due to barrel length. 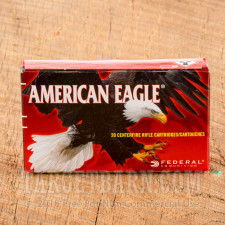 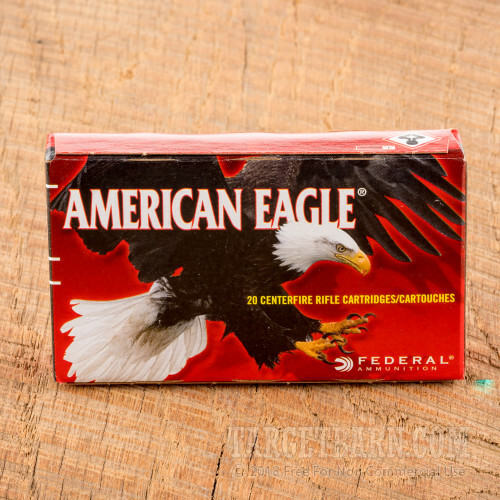 Federal American Eagle ammo is loaded in the USA using non-corrosive primers. 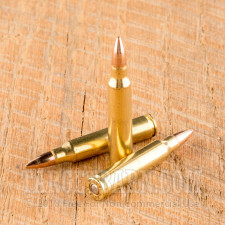 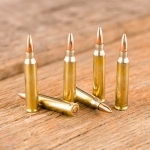 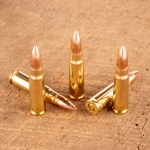 This is commercial ammo with polished brass cases.